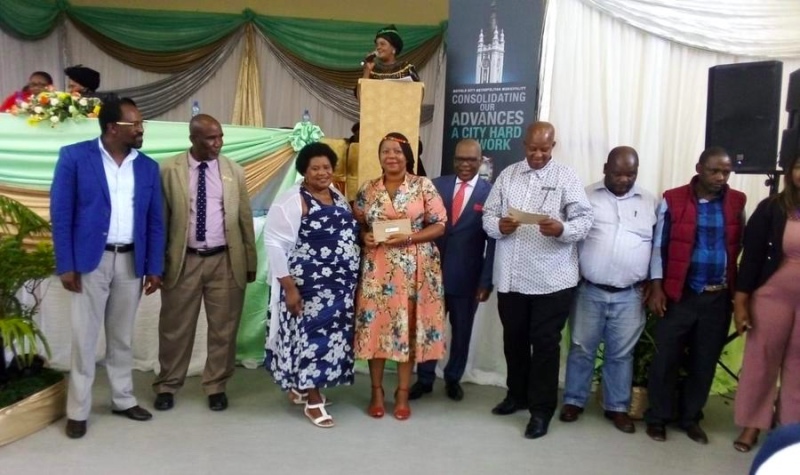 Speaking at the ceremony, the Executive MayorXola Pakati said, "We are doing our outmost best to mitigate poverty, we are here to encourage you to do more as you are playing an essential role towards grooming our children for the future and lending a helping hand to the vulnerable." Chaiperson of the Grants-In-Aid Committee, Councillor Luleka Simon-Ndzele added, "The Grants-In-Aid committee is there to assist organisations in need, these organisations mould tomorrow's leaders hence we found it very important to increase the funding from R1.5 million to R3 million so that more can be done." This ceremony is held at OR Tambo Hall in Zwelitsha.